Obituary – Severe, Clovis Leon « Perry High School Alumni Association, Inc.
Clovis L., Severe, 62, 1912 North Seventh street, died at 8:50 p.m. Thursday at Perry Memorial hospital. A memorial seiwice has been set for 3 p.m. Sunday at the United Methodist church of Perry with Dr. Charles Sapp, pastor, officiating. Burial will be at Grace Hill cemetery under direction of Strode Funeral home of Stillwater. The son ,of Clovis E. and Iva Severe, he was born Oct. 5, 1924, at Perry and had lived in the local community most of his life. He was a graduate of Perry high school and Oklahoma State university. Severe served with the United States Army during World War II. Severe and Lois M. (Magee) Deen were married Nov. 2, 1979, in Oklahoma City. Severe was part owner and manager of Mr. Convenience. 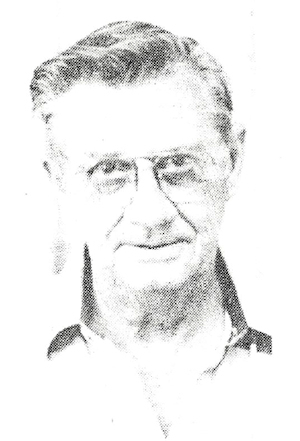 He was a member of the United Methodist church of Perry and the Perry Elks lodge. In addition to Mrs. Severe, of the home, survivors include his mother, Mrs. Iva Severe, Perry; and one brother, Rev. David Severe, Edmond.